Are you ready for Summer? I know that my family can not wait for the lazy summer days to get here. We love spending the day just relaxing in and around the pool. Well relaxing may be a stretch with 5 kids in a pool, but they do love spending the day in the pool playing games. This summer they will get to enjoy playing with their new Watermelon Ball - The Ultimate Swimming Pool Game . The game is for my older children and their friends but I am sure the girls will enjoy just playing with the ball in general. 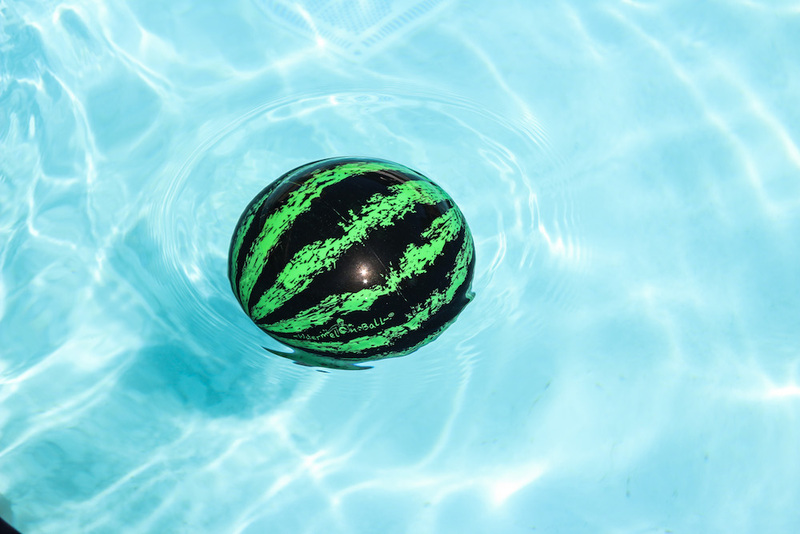 The Watermelon Ball looks, feels and acts like an actual watermelon in the water. You can dribble, kick and intercept this unique ball while in the water. You are also able to pass the ball up to 10 feet under the water. How many other balls can you do that with in the water? This ball will also bounce off the pool walls which keeps it moving while playing the game. 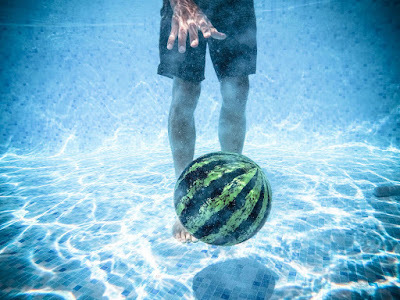 You may be wondering what exactly is the game of Watermelon Ball - well watermelon ball is a fun swimming pool game that combines football, basketball and rugby all together and is played in the water. The ball used to play Watermelon Ball is neutrally buoyant. 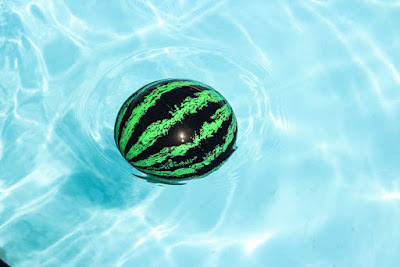 So if you are looking for a fun and new game to play this summer while in the pool I highly recommend getting a Watermelon Ball for your family! You could use a real watermelon to play the game but who wants a mess in their pool if by chance it breaks? Not me I will stick to the ball that looks like a watermelon.